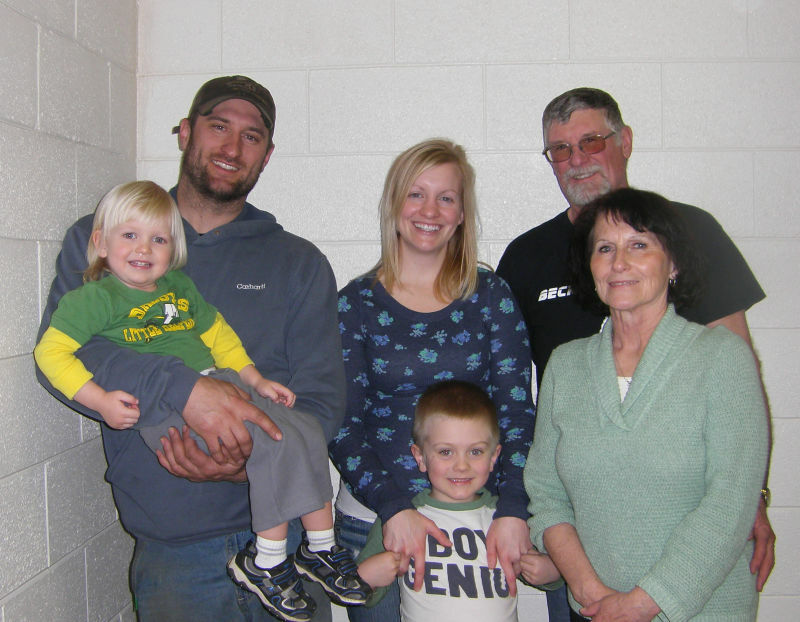 Pictured is (back)Chris holding Greyson, Lacy, LeRoy, (front) Everett & Kathy. I found out that Becker Chopping is a family business. 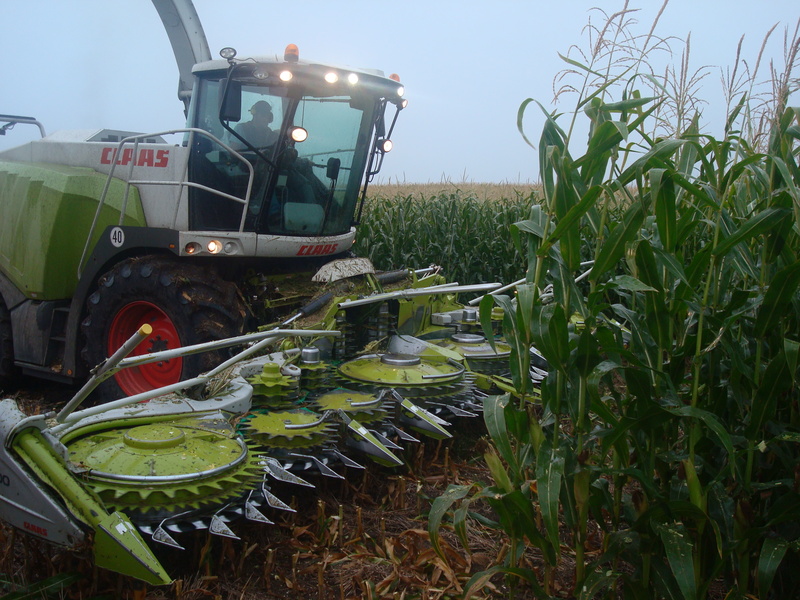 Almost 6 years ago Chris Becker & his father LeRoy purchased a 12 row corn chopper. 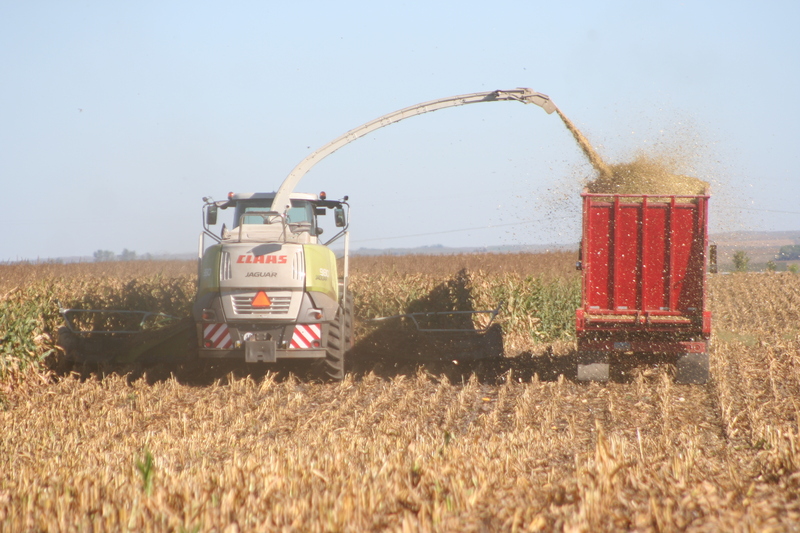 They have been doing custom corn chopping in about a 90 mile area. Lacy Becker ( Chris’ wife) says she gets to drive the truck. Kathy (Leroy’s wife) is the babysitter & the “lunch lady”.